The exhaust system is essential for your comfort, the performance of your engine and the protection of the environment. Exhausts must meet strict standards and manufacturer specifications. The purpose of your exhaust system is to remove gases from the engine that are created when burning fuel. These gases pass through a number of different components, such as the catalytic converter, in order to reduce harmful emissions and noise. HOW CAN I TELL IF THERE’S A PROBLEM WITH MY EXHAUST? If you suspect there’s an issue with your exhaust, often you will see a drop in performance or fuel efficiency. You may want to do a quick visual check of your exhaust, although checking the entire length of the system can be tricky. A certain amount of corrosion to the system is normal, but if this has caused a crack at any point in the system then you’ll need a technician to take a look. One of the easiest ways to identify a problem with your exhaust system is a change in noise. If there’s a problem with a silencer, your engine will make a roaring noise. Hissing or rattling sounds from the under - side of the car could be signs of a leak, misalignment or another fault. You may also experience some vibration through the steering wheel as a result. 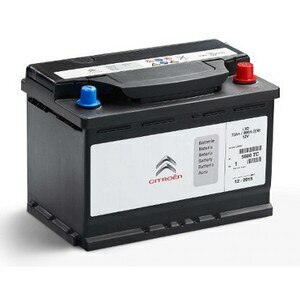 • Service your car regularly. 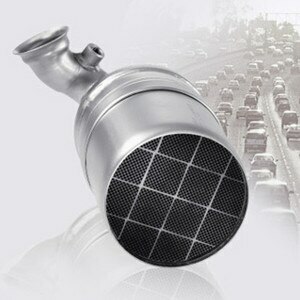 This will help to extend the life of your exhaust system and catalytic converter. • Shorter trips allow water vapour to turn back into a liquid inside the system, which can lead to erosion and rust. • If you can see or hear a problem with your exhaust, book a free health check with your local Citroën dealer.